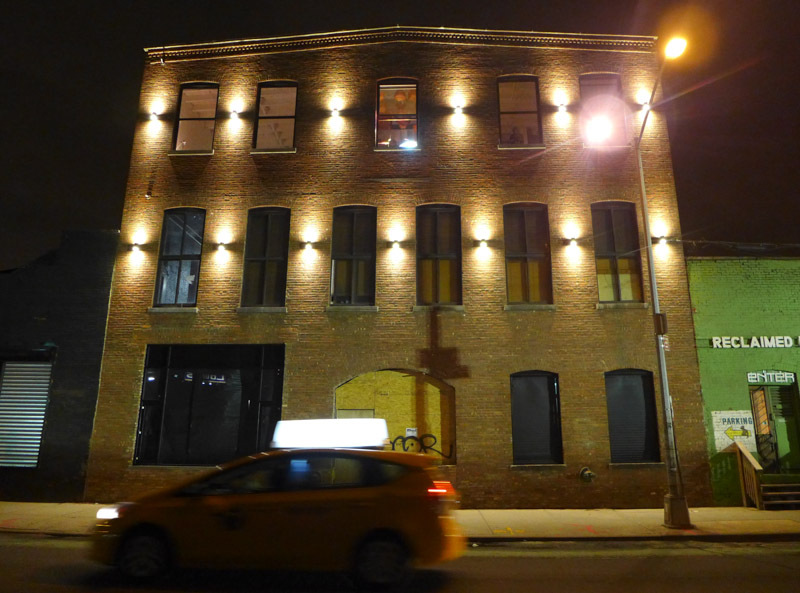 The Gowanus Canal isn’t the prettiest place to visit. 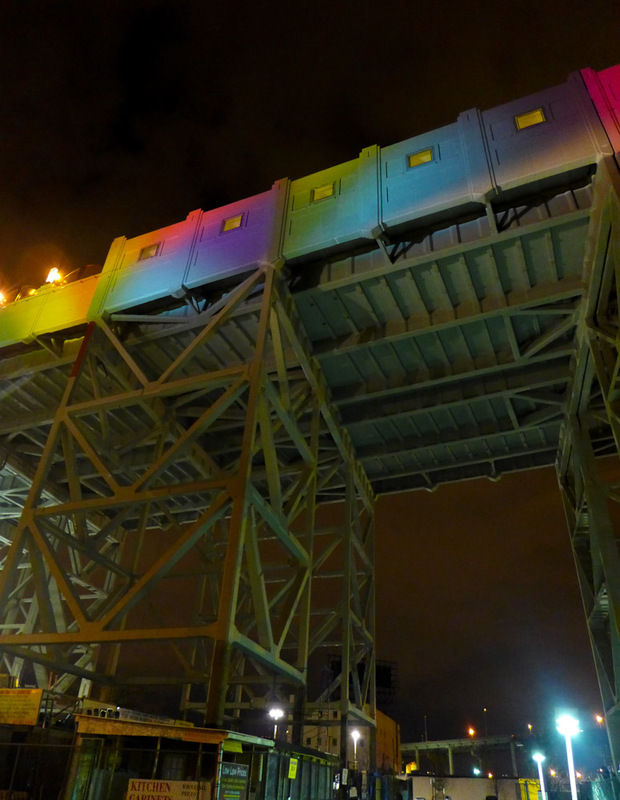 While it used to be a key transportation route stretching through south Brooklyn, it’s now one of the stinkiest, most polluted waterways in the U.S. 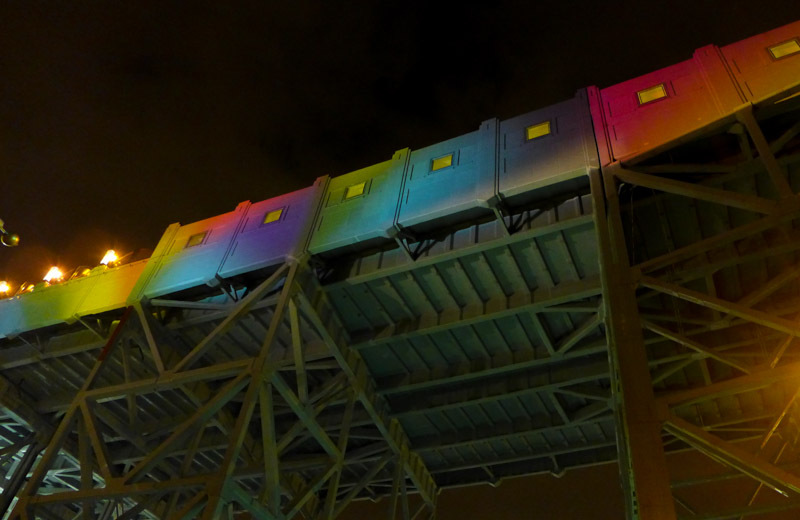 So I love how the Superfund site has been turned into a work of art for the week. 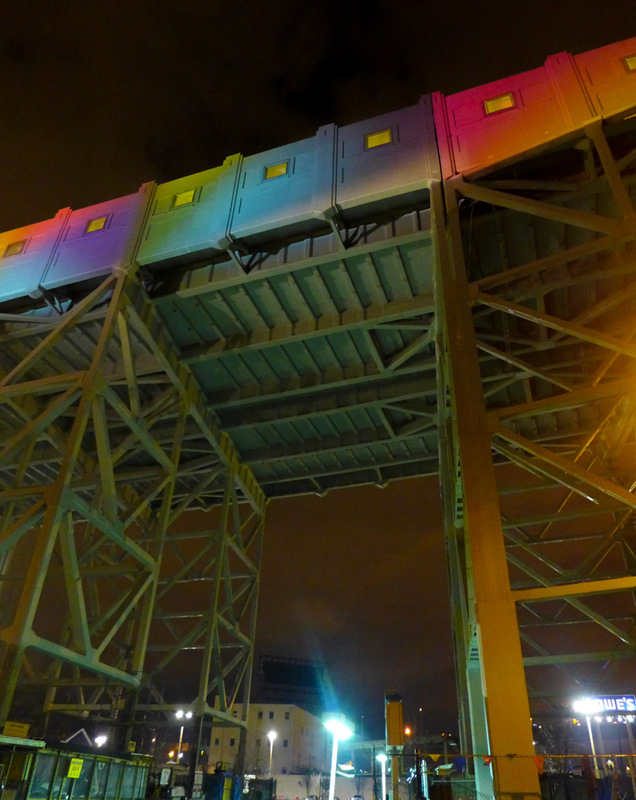 Through January 23rd, if you head to the bridge over the canal at the Smith/9th Street subway stop, you’ll see the structure awash with rainbow-colored lights. 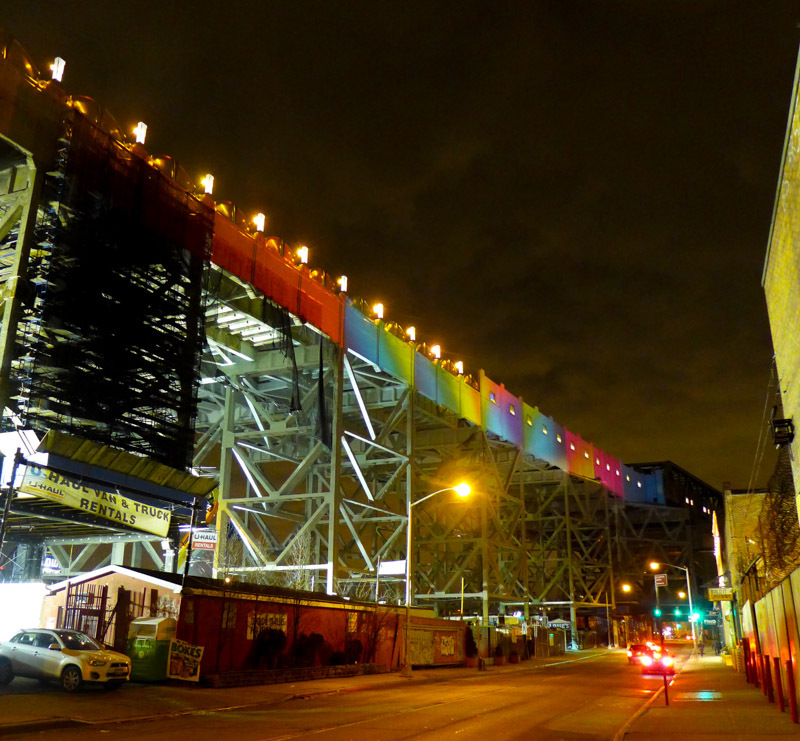 The projection, ‘Spectrum II’, is the work of artists Colin Bowring and George Del Barrio, who achieve the effect with theatrical lights staged in the Gowanus Loft on the other side of the road. 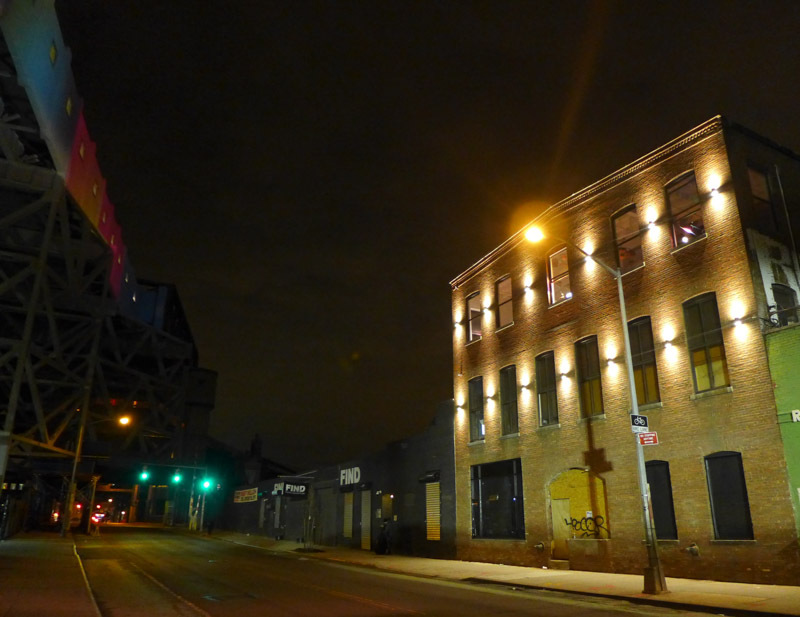 The idea is to spotlight a part of Brooklyn’s landscape that is often overlooked or considered cold and boring. 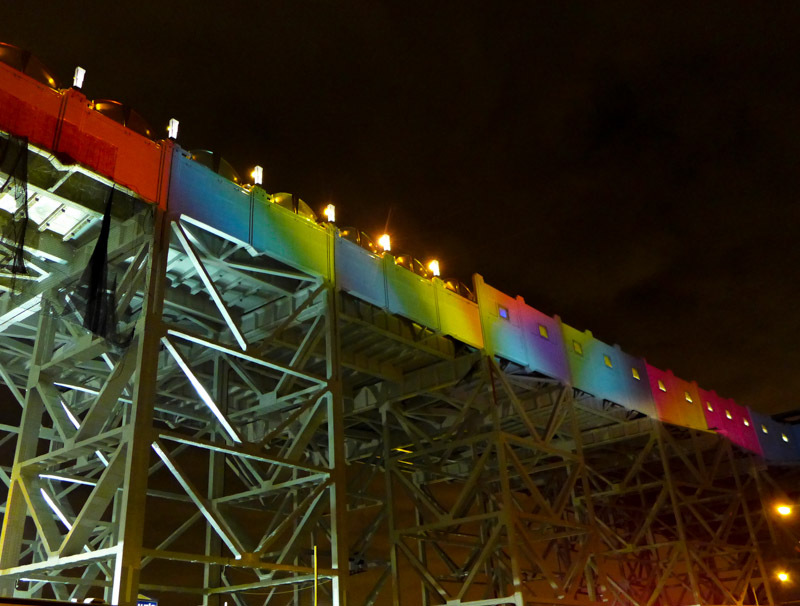 Who, what, where, when: Spectrum II is being projected on the bridge until January 23 (this Friday) between 7pm and 11pm every night. It’s on one side of the Smith-9th Street bridge (map here) beneath the subway stop. You need to cross to the east side of the bridge to see it. Haha they are so good – a sort of toffee flavored ice cream on a stick! Glorious.